Houzz 24 of our visitors have told a friend about this plan. 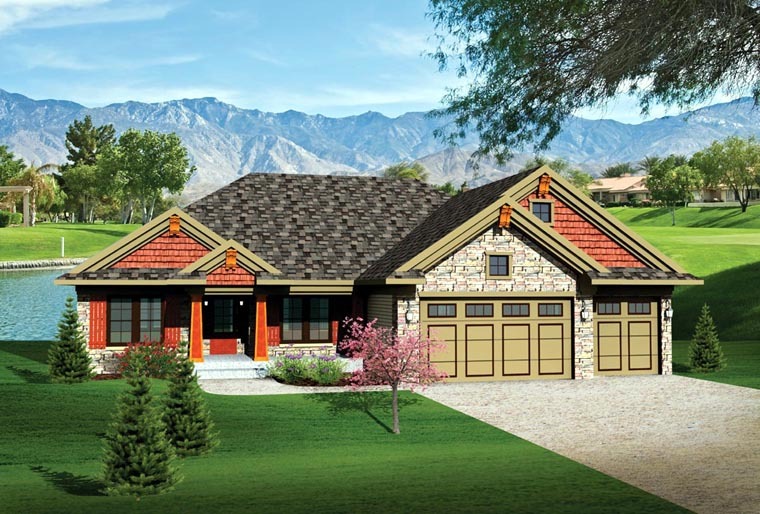 Shake siding, stone accents and strong wooden columns define the character of this traditional ranch home. In just under 1,900 square feet, you’ll be amazed at the extra amenities you’ll find in this home as you enter. To your right, the formal dining area is defined by a column that further defines the great room area directly ahead, where two more columns pull the entire plan together. The kitchen and nook area also features a separate computer area for the kids to do their homework. The master suite, complete with large walk-in closet and direct access to the laundry room, lies to the right behind the garage. 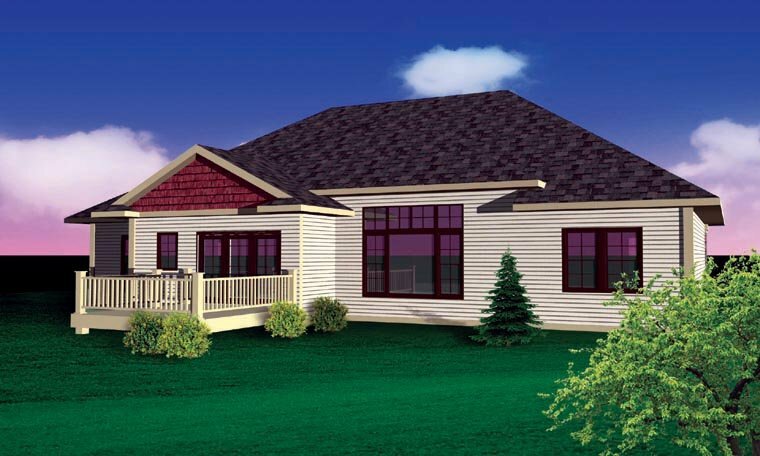 Two additional bedrooms with full bath can be found on the opposite side of the home for maximum privacy. 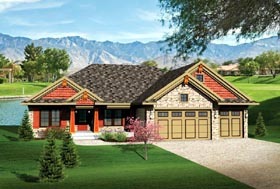 A three-stall garage completes the home. Question: We prefer a crawlspace foundation. Can we expand the kitchen to take up the stair space ? and going to a crawlspace what is the SQFT reduction ? Answer: Yes, that modification could be made. This would not result in any reduction of square footage however. Question: can the roof load be increased to 60 psf on the final drawing. Discribe the flooring. Answer: The roof load can be changed to 60 psf. However, that is nothing that would be changed on the plans. That would be worked out with the truss manufacturer. Question: Is there a full wall between the kitchen and GRT. RM.? Is there an eating bar between the kitchen and nook? Answer: The plans show a raised ledge between the kitchen and great room but no wall. There is also an eating bar on the nook side of the kitchen as well. Thank you!